Living in the shadow of an older brother is sometimes a very demanding job. Especially when this brother is an ambitious ignoramus with a sampling of masochist thrown in on the side. But it didn’t quite work out that way. Instead, he ignored his historically troublesome IT band and quickly escalating shin splint problems and signed up for the Lookout Mountain 50 Miler—all to my disadvantage. You see, letting him one-up me these days is simply out of the question. That was fine when we were kids, but not anymore. So I bit the proverbial bullet, took unhealthy amounts of Aspirin to fix a foot problem I’d developed after the aforementioned 50K (which I also reluctantly agreed to run), and began the impossible task of trying to mentally prepare for what would inevitably be the most painful day of my life. I woke the morning of the race after a fitful night of sleep. (Fitful, because the nightmare I had involved defecating my shorts within the first mile of the race and then having that horrible sensation where no matter how hard you try to run, you simply can’t.) Hardly the most ideal mental preparation for a 50-mile run. Anyway, after a hefty bowl of buttery, syrup-drenched oatmeal and a long, anticipatory drive up Lookout Mountain in the dark, we arrived at the Covenant College starting point ready to begin a long day in the woods. 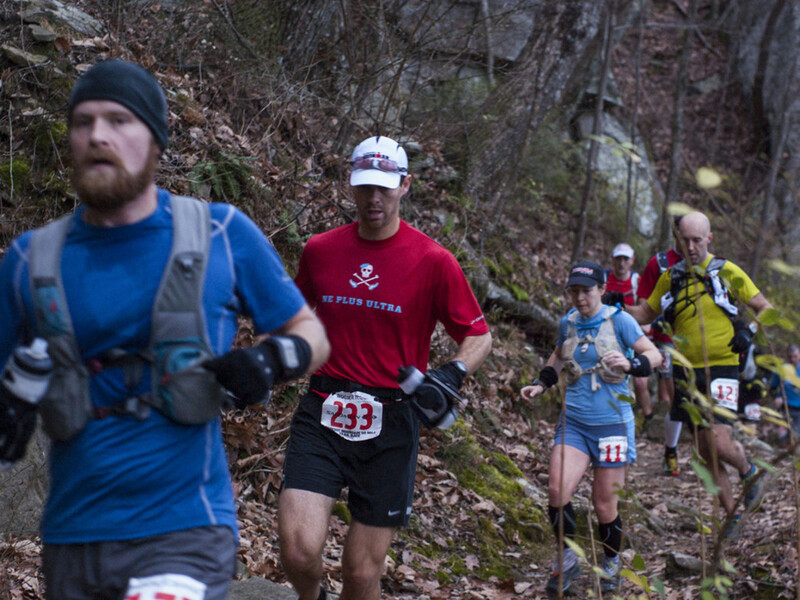 The first 15 miles of the Lookout Mountain 50 are as good as it gets. After passing through Covenant’s campus, the course enters the woods via the Ochs Gateway before switchbacking down onto the Bluff Trail—an aptly named path that skirts the edge of Lookout Mountain’s bluff and offers excellent views through the leafless December trees of Lookout Valley below and the Cumberland Plateau beyond. It's a somewhat technical stretch of singletrack, which bottlenecks about 200 runners into close, single file quarters. Along this section, the cacophonous sounds of snot rockets, plodding feet, and guttural throat clearings fill the air, as runners begin settling into their rhythms—telling lame jokes, laughing at how stupid they are for doing this, and becoming hyper sensitive to even the slightest little aches and pains, knowing full well that these will turn to hellish agony later on. For me, I could already tell that something was rubbing the wrong way. The running tights my brother let me borrow had a seam that was acting like a small saw on my private parts—older brother sabotage, for sure. The course eventually wraps around the point of Lookout and then doubles back on a two-track gravel road to reach the first aid station at the historic Cravens House at mile 6.3. From here, runners wind their way down a series of nicely wooded, zig zagging singletrack and double track trails until they reach the Chattanooga Nature Center. For us, this section passed by relatively quickly. Conversation was good and spirits fairly high; although our muscles were, admittedly, already beginning to show signs of early fatigue and confusion as to why we were putting them through this. The Nature Center is a welcoming area with flat terrain, gravel paths, and easy running next to the emerald green waters of Lookout Creek. 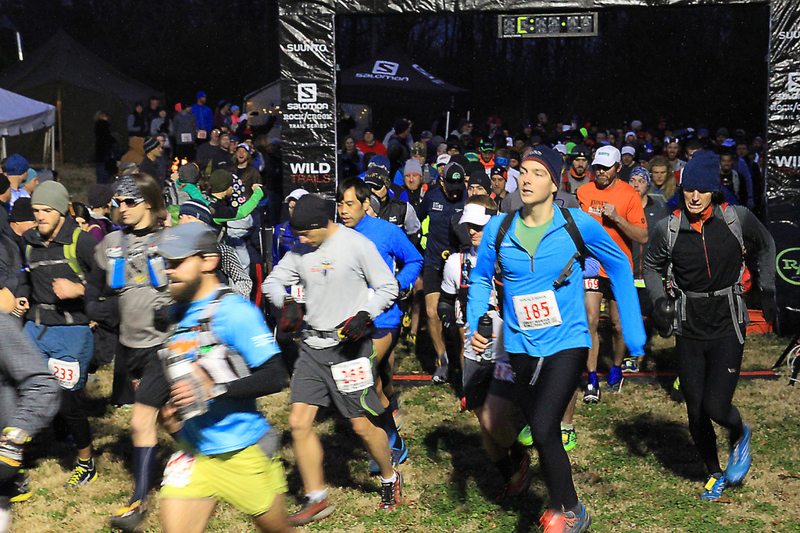 It’s a relatively short-lived section, however, and after the aid station at mile 14.8, the course begins to get tough. Roughly 5 of the next 7.4 miles to get back to Covenant—the third aid station and mental halfway point at mile 22.5—are uphill. Actually, "up-mountain" is perhaps more appropriate, as the trail slowly but surely switchbacks up Lookout's entire western flank from bottom to top. Both of our bodies began breaking down along this stretch. We hadn't even reached the halfway point, and already his knee was causing him to grimace and limp, and my hip flexor was essentially useless for lifting my left leg. What a welcoming sight, then, when we finally reached Covenant. After a small wardrobe change (getting rid of the diabolical tights and switching into Hoka's) we got back to it. The brief stop proved damaging though. We left the aid station in a kind of pathetic waddle, paralyzed by tight muscles and shivering from the cold, also knowing full well that the only thing we had to look forward to was another marathon's worth of running. Needless to say, things were feeling pretty grim, and doing little to aid our cause was a trail that became a muddy and relentlessly winding beast, forcing us to dodge and weave on tired muscles that didn’t appreciate the dodging and weaving at all. After this annoying section, we hit an exposed stretch of power lines with a demoralizing uphill and perhaps worse: visibility. We could see a few hundred yards in front of us, and we were immediately reminded how much further we really had to go. After reentering the woods on a smooth and leafless—not to mention slightly downhill—section of trail, our bodies began to repair themselves a bit. The lactic acid seemed to disappear. We opened our gaits slightly and hit our stride; everything becoming rather mechanical, a process of simply going through the motions with an almost out-of-body thoughtlessness. Could it be the ever-mysterious and elusive second wind? As if to welcome this unexpected guest with open arms, the trail also maintained its flat and friendly nature as it traversed the hardwood forests atop Lookout, before eventually reaching a road which signaled the beginning of the Lula Lake Land Trust portion of the race. 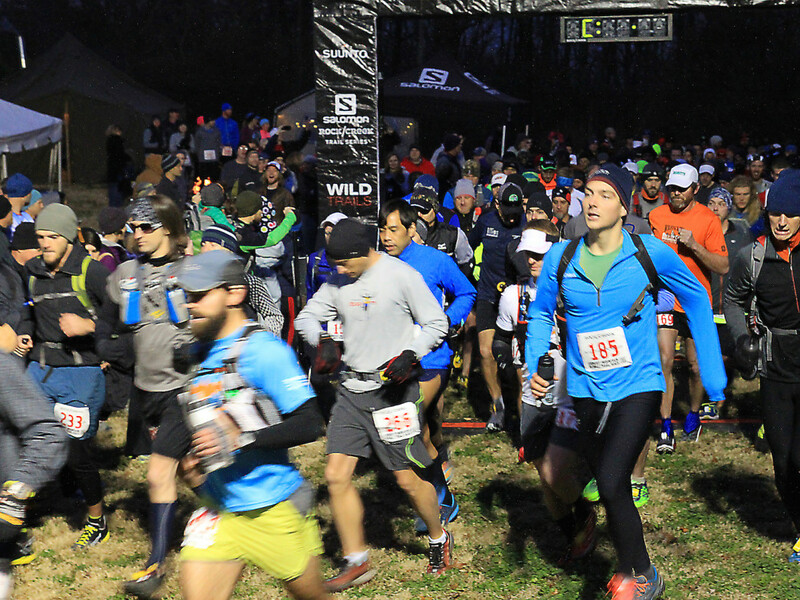 Dropping into this pristine area, the course travels along mountain-laurel lined streams and into the hinterlands of the Land Trust, before eventually arriving at the fourth aid station at mile 29.9 and Lula Lake itself. Lula Lake is perhaps the most beautiful spot in Chattanooga. It is situated in a gouged out punchbowl beneath towering cliffs on each side, and the upper falls cascade in a nice, silky band of whitewater before dropping into the lake's brilliantly turquoise waters. Just a few hundred yards further downstream, the lower falls then plunge 150 feet over the side of a precipitous cliff. Simply said, it's a nice backdrop for an aid station. We still felt good upon our arrival. The picturesque location and the friendly faces and the warm ramen noodles fooled us into thinking we'd be okay... And we were okay for the next 4 miles. We moved pretty briskly along Eagle Cliff, down into Rock Creek, and through the decimated F4 tornado zone, reeling in a handful of other runners along the way. But as soon as we left the Long Branch aid station at mile 34, something happened. What should have been a simple and straightforward 4 mile loop through the scenic private property of Long Branch became the most miserable hour and twenty minutes of our running lives. (Yes, it took that long.) I'm still not exactly sure what happened. Maybe it was the mental challenge of having to run a pointless loop only to reemerge at the same aid station four miles later. But more than likely, it was just that our bodies had finally met their physical breaking points, neither one of us ever having gone this distance before. 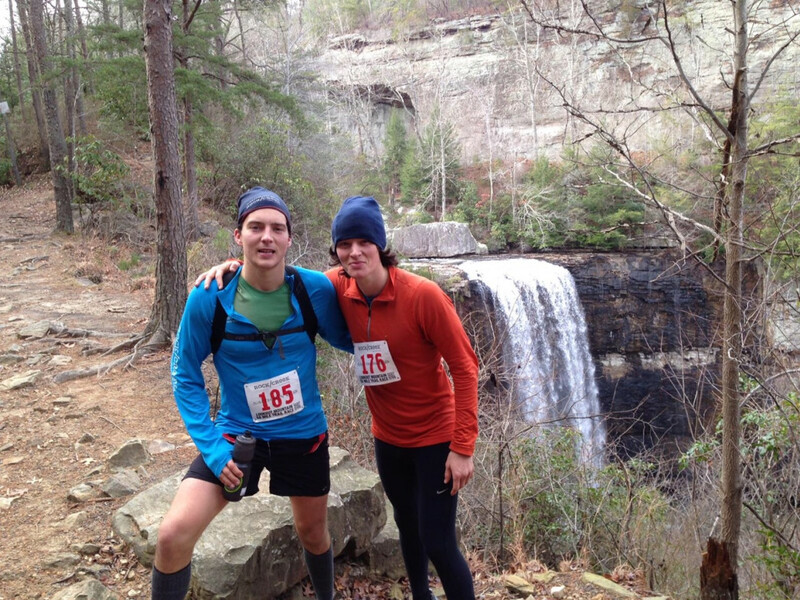 When we finally limped into the aid station, this time at mile 38, both of us were ready to call it day. Had he said something, I know for certain I would have stopped. We weren't having fun any longer, and 2 1/2 hours more of this seemed like pointless torture. But he didn't say anything; even though I could tell he wanted to. And I definitely wasn't going to be the one to quit first. So we stubbornly set off for the final 12 miles in the same direction from where we'd originally come. Kidding, of course. There's just nothing much to report. We carried on. We hit walls that I didn't know existed. We walked A LOT. We dreamed of warm, dry clothes and showers and solid food and chairs—sweet, wonderful chairs. And we self-deprecatingly joked our way to the end. With ten yards left to go, after my brother had paced us for the entire 50 miles, I sprinted by him to take all the glory. Dumbstruck by this brash moment of younger brother insolence, he yelled at me to wait for him and that we’d finish together. Sensing this was probably fair, I did as I was told. But right at the last second, with subtle and cunning craft, I stuck my right foot—the one with the time chip on it—over the line before his, effectively winning the race against my older brother and banishing the shadow for all younger brothers across the world. 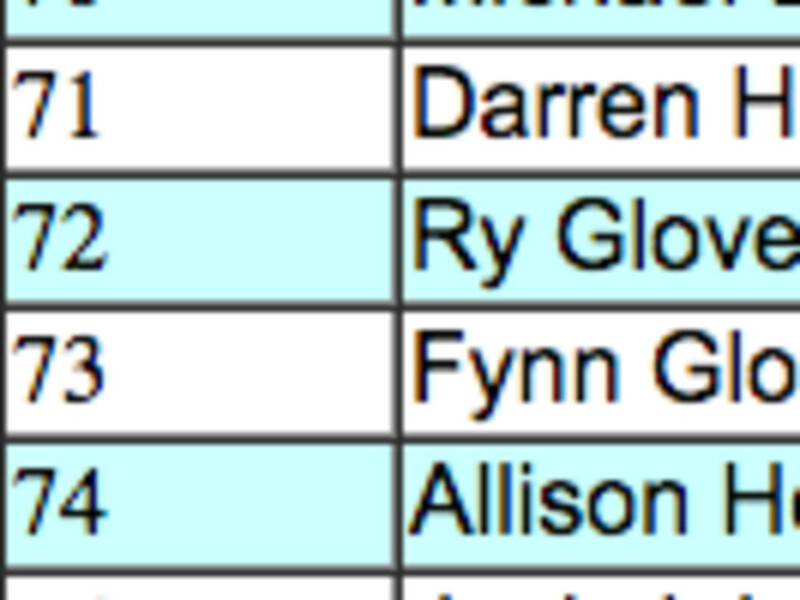 People have since asked whether we'll ever run a 50-miler again. A week after the race, it was a most assured "absolutely not, you're a crazy person!" Two weeks after, it was still a hard-nosed "no." Now... I don't know. It was definitely a brutal experience and my ligaments still hate me, but it was also very rewarding and unforgettable. And who knows? Maybe if we train, the next 50-miler won't be so bad.